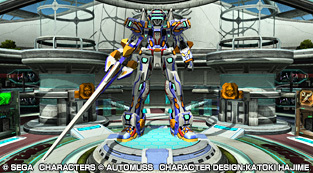 This week’s update will add a new limited quest and the Virtual On/Shining Force Cross Exlesia collaboration items. You must clear the Za Oodan Arks Quest to access it. Clear client orders for Xie and Hans during the campaign period to earn prizes! July 30th until August 6th’s maintenance. August 13th at the Visiphone after maintenance. 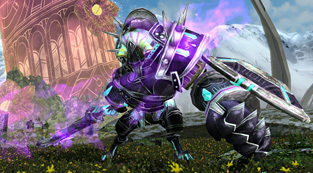 Purchase Premium Sets during the campaign period to receive various prizes! Merely using previously acquired premium sets will not qualify you for this campaign; they must instead be purchased to qualify. If you purchase several different premium sets during the campaign period, you can qualify for each of the respective prizes. For example, by purchasing the 60 day and 90 day premium sets, you can receive 1 Kagiya Tsuzumi, 1 Excube, 2 100% Triboosters. The qualifying periods occurs between each maintenance. Are the login prize dates in JPN time or my local time? They are Japanese Standard Time. So basically log in on the 9th to get the 10ths prize since JP is about … 17 hours ahead? It depends on your timezone. When it comes closer to the boost event we’ll put timezone links. Im too lazy to scroll and no acces to pso2.jp, so did we beat this week web event score? I wanted the team to come to the concert with me. T_T. actually you can again with the help of CyberKitsune PSO2Proxy, it will definitely help you to play again and I use it. Dudes (Sega, yo) put up new DDoS protection. New DDoS protection doesn’t play well with foreign ISPs. Henceforth, many foreigners got blocked from playing PSO2, unless you use a VPN/Proxy or argue with your ISP about it.